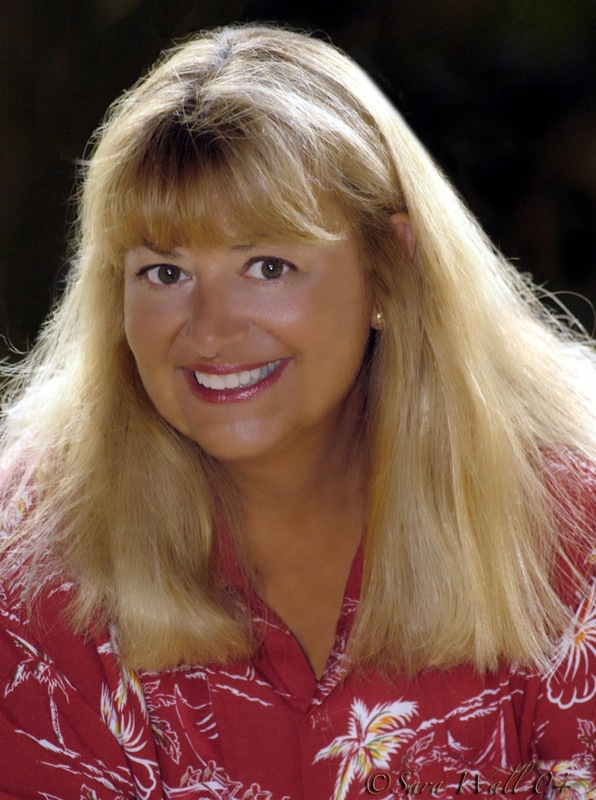 Aloha to bestselling author Jill Marie Landis, who'll be sharing a bit about her TIKI GODDESS MYSTERY SERIES that is based in Hawaii, where Jill Marie also resides. I can't begin to offer refreshment comparable to the Tiki Goddess Bar, but could I get you some coffee or tea? No, okay. Well, let's start. (EVW) Jill how can we all share a bit of your Hawaiian sunshine? Could you tell us about your Tiki Goddess series? (JML) The Tiki Goddess Mystery series has been a dream of mine for years but I was busy writing somewhat steamy historical romance, then a contemporary romantic suspense series, then historical inspirationals. When we moved to Hawaii full time and became surrounded by the island beauty and quirkiness of the real life characters around here, I just couldn't put the Tiki Goddess idea on the back burner anymore. I was thrilled when Bell Bridge Books snapped them up. The fictional characters were dying (some of them literally) to be written. The first book of the series is MAI TAI ONE ON (I'll be giving two copies as prizes to two of your readers). Most of the action takes place at the Tiki Goddess Bar and in Book 1 the next door neighbor is found dead in the luau pit. For those who've never been to an Hawaiian luau, the imu is a hole in the ground where a whole pig is placed on top of a fire and hot rocks buried in sand. Not the greatest way to go, by the way. A group of senior hula dancers who call themselves the Hula Maidens dance at the Goddess Bar, which is about the only place in town that will have them. The lead character, Em Johnson, the bar manager, is in her thirties and new to Kauai's North Shore. Somehow level headed Em ends up embroiled in the Hula Maidens antics and helps these amateur sleuths solve one mystery after another. (EVW) What’s your favorite of Uncle Louie’s drinks at the Tiki Goddess bar? (JML) This is one of my favorites. Try it at your own risk. Each of Uncle Louie’s drinks is built on a legend of its own. Uncle Louie commemorated his near miss off of Princeville when a six foot tiger shark took a hunk out of his surfboard—now on display above the front door of The Tiki Goddess Bar. Wisk the ingredients together until the wasabi dissolves. Pour over ice in a highball glass. Garnish with a celery stick and slice of red bell pepper cut in the shape of a shark fin. (EVW) What’s next for bar manager and unofficial P.I. Em Johnson and fire-dancing detective Roland Sharpe? (JML) Well, eventually Em and the tall, dark, and handsome man-of-few-words Detective Roland Sharpe are going to have to "do the deed," but for now there are enough stolen kisses and smoldering looks to keep the romance alive. I'm working on Book 4, TOO HOT FOUR HULA right now and Roland has just shown up at Em's hotel room in Honolulu in the middle of the night….so we’ll see what happens. Since this is a series and a cozy mystery, I think it’s probably a good idea to string out the romance and keep readers guessing will they or won’t they? (EVW) I love the mix of humor, fun, and some heart-tugging moments in your Tiki Goddess series. Have you found it as much fun to write as it is to read? (JML) Writing comedy is so much fun for me. Once I get on a roll the scenes just fall in line on. Sitting down to write isn’t easy when you live in paradise. Most days I’d much rather be sunning on the beach or stand up paddle boarding or working in the garden or dancing hula. When the weather is great I take a pen and paper out to the beach and rough out the scenes and dialogue and then when it’s raining I work inside and flesh it all out. (EVW) If we were to visit Hawaii, is there a place that we could visit that inspired the Tiki Goddess Bar? (JML) Most definitely. The Tiki Goddess bar was inspired by The Tahiti Nui, a North Shore Kauai establishment that’s in a one hundred year old building and has been in business since the 1960’s when Kauai was literally the end of the earth as far as most mainlanders are concerned. The Tahiti Nui was recently featured in the movie “The Descendants” with George Clooney. They filmed for three days inside the bar and used local patrons as extras. Some of the folks in the show are the inspiration for my characters (and they brag about it!) I love to hang out there and dance hula. Of course, I am there “researching” my series. Writing is hard work, you know. 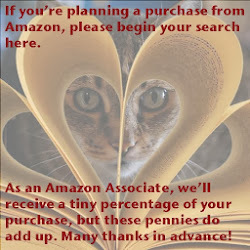 (EVW) How was the jump from romance writing to mysteries? (JML) So far it’s been easy, though sometimes it’s hard to keep the “romance” voice from taking over the cozy amateur sleuth tone. As I look back over my backlist of romance novels, I see there’s an element of suspense woven through them all. My early novels weren’t only about the hero/heroine relationship and the steamy love scenes—though those were the core elements. I have always built the plot around something suspenseful that made the books page-turners. For readers new to the genre, about half of my romance backlist has been re-released in the various e-reader formats and are available again. This year we’ll be launching a few more titles. It’s very exciting to know those books will be discovered by a whole new generation of readers. Here’s a short excerpt from MAI TAI ONE ON, Book 1 of the Tiki Goddess Mysteries. Em Johnson’s Uncle Louie has just sent her out of the bar to get his Panama hat from their beach house. Thanks for joining us, Jill Marie! I know that there are going to be two very happy winners of your giveaway. Thank you for offering two print copies of your first Tiki Goddess Book, Mai Tai One On. Em skirted the bathroom door where the Maidens were assembled. Lil was drying her eyes, her faux shark fin once more anchored to her head. Suzi and Big Estelle were stapling Flora’s ripped side seams together. No one noticed when Em slipped through the office and out the back door. Outside, the music sounded nearly as loud as inside. The thump of the bass and the drum reverberated on the night air and matched the rhythm of the surf. When she reached the house, Em realized the drumming wasn’t coming from the Goddess at all, but from the beach in front of Louie’s house. She paused at the foot of the lanai steps just before a ball of flame burst to life a few feet away from her. It was instantly followed by another. The drums beat faster and the twin circles of fire began to rotate in perfect time. It was a moonless night and the bright orange glow of the flaming fire knives reflected off the bronze skinned man wielding them. She glanced around, looking for Roland’s drummers but all she saw was a boom box resting on a wide tree stump. Recorded Tahitian drumbeats matched the tempo of the whirling fire knives. Now she knew why Uncle Louie winked and told her not to hurry back—she’d been set up. Louie sent her out knowing she’d find Detective Sharpe alone on the beach waiting to dance just for her. The soft trades caressed her skin as Em walked barefoot across the sand drawn toward the twirling flames. More than ready to enjoy her own private show she stared at Detective Roland Sharpe. He was oiled up, wearing nothing but a skimpy malo wrapped around his loins. He might be a man of few words, but right now, Em thought he definitely didn’t need to say a thing. Six months ago, if anyone would have told Em Johnson she'd end up divorced, broke, and running the dilapidated Tiki Goddess Bar on the magical North Shore of Kauai she would have told them to shove a swizzle stick up their okole.As if all that isn't bad enough, when an obnoxious neighbor with a grudge is found dead in the Goddess luau pit, suspicion falls on Em and the rest of the Goddess staff. With the help of a quirky dance troupe of over-the-hill Hula Maidens, Em and the cast of characters must ban together to find the killer and solve the mystery before the next pupu party. Forget the grass skirts. Some of the Island's top hula dancers are pushing up daisies.Everyone at Em Johnson’s famous North Shore Kauai hang-out, The Tiki Goddess Bar, knows that the bar’s irrepressible Hula Maidens take their hula dancing seriously. So when famed hula instructors from a rival dance troop start dropping like over-ripe passion fruit, Em and the Hula Maidens go undercover at the Kukui Nut Festival Hula Competition to uncover the killer. Em is once again up to her okole in danger and mystery, not to mention the seductive challenge of working with hunky detective Roland Sharpe, who moonlights as one of the island’s sexiest fire dancers. The hula is lively, the luau is smoking, the mai tais are delicious, and a killer is looking to get away with murder in paradise. A jigger of tranquility is all Em Johnson wants, but now that her beloved Tiki Goddess Bar has been chosen as the location for Trouble in Paradise, TV’s hot new reality show, life is anything but tranquil. When a member of the camera crew is found dead in her kitchen—stabbed to death with Chef Kimo’s sashimi knife—the scene on the sleepy North Shore of Kauai goes from eccentrically crazy to downright dangerous. Suspects lurk behind every paper drink umbrella. It’s not enough that Chef Kimo is the number one suspect or that the life’s-a-party Hula Maidens nearly burn down the place while dancing the hula with flaming coconuts. Em still has to deal with her Uncle Louie’s wedding to The Black Widow—until his fianceé’s Mercedes plunges into the Pacific. Roland Sharpe, a handsome, Hawaiian, fire-dancing detective, warns the locals not to interfere, but Em and the madcap Maidens can’t help themselves and soon wind up knee deep in danger again. Can the irrepressible troupe solve three murders before the champagne goes flat? JILL MARIE LANDIS' novels have earned distinguished awards and slots on such national bestseller lists as the USA TODAY Top 50 and the New York Times Best Sellers Plus. She is a seven-time finalist for Romance Writers of America's RITA Award in Single Title Historical and Contemporary Romance as well as a Golden Heart and RITA Award winner. Jill Marie resides in Hawaii with her husband. When she's not writing or sitting on the beach reading, she enjoys visiting with family and friends, raising orchids, working in her garden, occasionally quilting, but most of all dancing the hula. Some of her recent releases include the Irish Angels Series, inspirational historical romance from Zondervan, and MAI TAI ONE ON, TWO TO MANGO, and THREE TO GET LEI’D, the first three titles in her hilarious “Tiki Goddess Mysteries” set in Hawaii from Belle Books.